Convermax helps online retailers boost conversions with user-friendly site search. Searchers are three times more likely to buy products and 39 percent of ecommerce companies struggle with relevance by showing their customers poor search results. Every online retailer should integrate smart site search. Convermax offers an intelligent site search and filtering interface to increase sales and improve client satisfaction. More than 30 e-retailers entrusted Convermax to do the installation and configuration work for them. 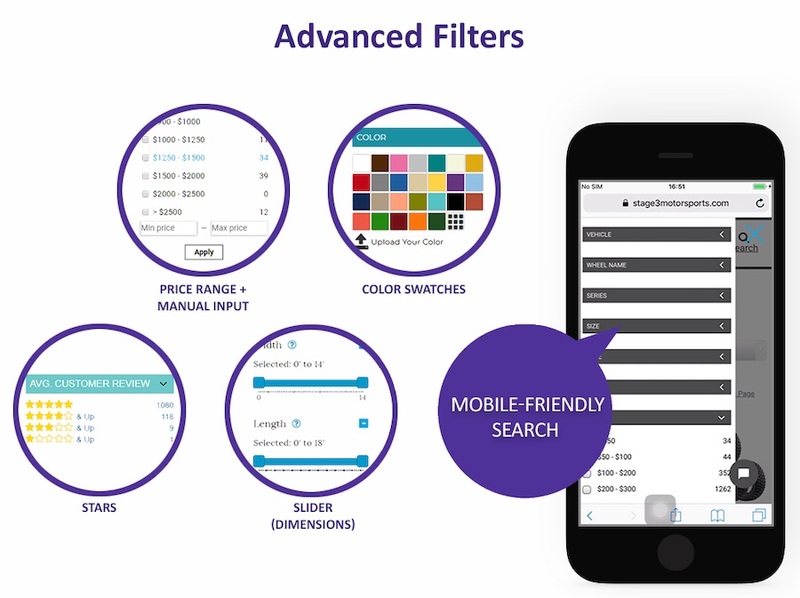 Advanced filters: checkboxes, color swatches, sliders, price ranges, dropdowns, and more. Pre-built apps for a range of platforms: 3dcart, Shopify, AmeriCommerce, Magento, WooCommerce, Opencart, PrestaShop, and custom. Merchandising tools such as product promotion and recommendations organized by a variety of factors including promo campaigns, clearance, visitor profile, and more. 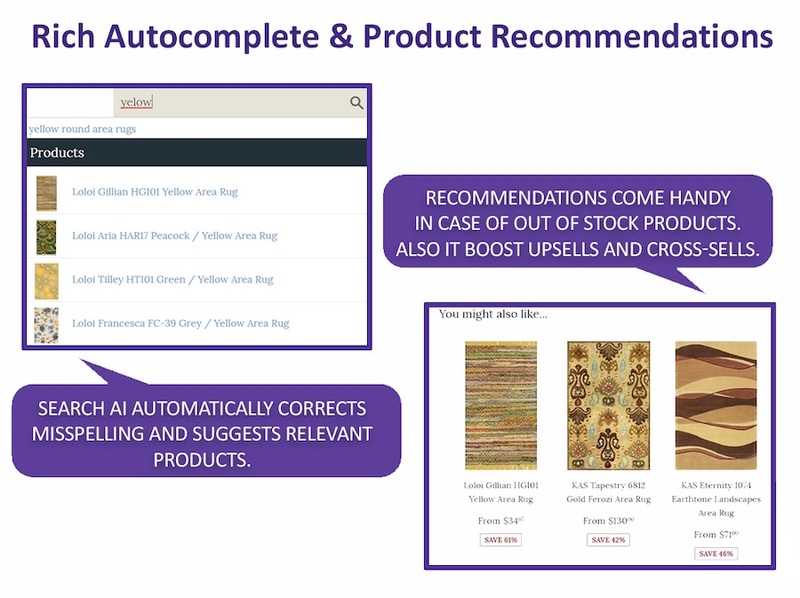 Natural search language: instant spell check, recognizing synonyms, and rich autocomplete.